One of the key components of a residential solar power system is the charge controller. What does a charge controller do? The cable from the solar panel is connected to the charge controller. The charge controller is then connected to the battery bank. Its main function is to take care of the batteries. The following is a list of 4 benefits of using a charge controller with a home solar power system. 1) Regulate the power from the solar panel before going to the batteries. Photovoltaic (PV) cells can generate a good amount of power when exposed to direct sunlight. The problem is, sometimes we don’ get consistent sun light. This may due to cloud cover, rain or haze. Therefore the power output from the solar cells also fluctuates. One of the functions of the charge controller is to regulate the voltage output of a consistent voltage level so it will not damage the battery units. 2) Prevent backflow of current back to the solar panel. Solar cells produce power on the day time, but what does it do at night time? As a matter of fact, the PV cells will consume energy! The power generated the whole day will flow back into the solar cells. One way of preventing this is with the charge controller. Charge controller usually has a current backflow resistor that prevents any current from the battery bank from flow back to the solar panel. 3) Protect the battery from complete discharge. Even though when you are using a deep cycle battery, it is best not to discharge it more than 50 percent or you will weaken its life. When we are using the power generated from the solar panel, we seldom check on the discharge level of the batteries. The charge controller with a LVD (low voltage disconnect) is used to protect the battery from complete discharge. 4) Maximum power point tracking. A more sophisticated charge controller unit uses a pulse width modulation (PWM) or maximum power point tracking (MPPT). The function is to assure the battery is being fully charged. The process of charging a battery is quite a complicated task. The first 70 – 80 percent of a battery capacity is easily replaced. However, the last 20 – 30 percent requires more attention and therefore more complexity. The charge controller uses PWM to track the battery charged level and changes the power output to meet the battery power requirement at high charged level. It’s pretty confusing, but the charge controller does all the thinking for us. Are you planning to setup your own home solar power system to cut down on your home energy bill? If you are, you may be a good DIY home solar guide. 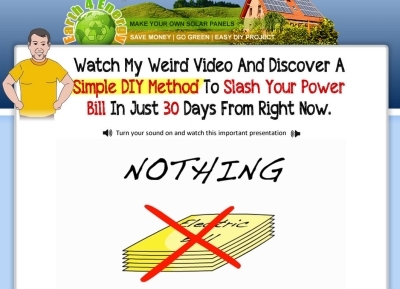 For an easy to follow home solar manual, check out Michael Harvey’s Earth 4 Energy program. The program comes with a step by step e-book together with 7 High Definition (HD) instructional video. 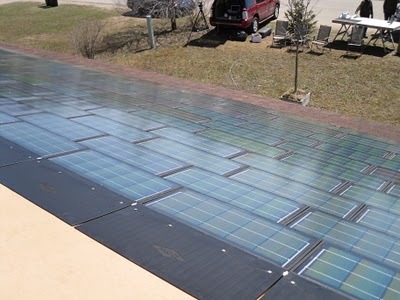 The primary task of a charge controller in a photo voltaic system is to regulate and control the energy flowing from the solar panel to the batteries. A good PV charge Controller would ensure that the batteries’ life is intact, as it stops the battery from getting overcharged or undercharged. It is crucial for the batteries connected to the solar panels to get the necessary energy to get charged. Solar charge controllers in a way act as gatekeepers to control and optimize the power coming to the batteries.